Tech Blog with latest tech news CopyShould 5 Signs Your Hard Drive Lifetime is Ending & What To Do Tech Blog with latest tech news CopyShould!! Every one of us owns precious files like personal documents, photos, videos, or audio files, and we typically store them on hard drives. 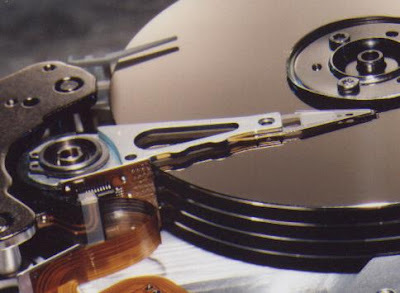 Few people realize that most electronic storage devices, including hard drives, have a rather limited lifetime when compared to the ancient ways of storing information, such as stone, papyrus, paper, or old school records. The average lifetime of a stationary hard drive today is around 5 – 10 years, depending on the type and manufacturer, and it rapidly declines if the drive is subject to strong variations in temperature, humidity, and motion as in not being stationary. Since a majority of people today own laptops and external hard drives, which get dragged around quite a bit, a realistic hard drive lifetime is probably around 3 – 5 years. This is an extremely short time to reliably store important data. In the best of cases, hard drives fail gradually, giving you the chance to react, get a copy of your data, and replace the storage device before facing a fatal failure. There are a host of signs that hint to a gradual failure of your hard drive. If you are unsure how much life is left on your hard drive, read this article to find out what signs may reveal an approaching failure. These are very unspecific signs that can be caused by a million different things. However, regardless of what the issue behind these symptoms is, it is recommended that you immediately make a backup. If these problems occur after a fresh installations or in Windows Safe Mode, it is almost certain that it is due to bad hardware, and possibly a failing hard drive. If you’re beginning to find files that fail to open and are corrupted even though they saved without errors or if files suddenly disappear, you should get worried. While again this could be due to a multitude of issues, it is also a typical sign for a gradual hard drive failure. You can run a manual disk check to identify errors that Windows has not spotted, yet. In Windows 7, go to > Start > Computer and right-click on the disk or partition you wish to check. Select > Properties, in the window that opens switch to the >Tools tab and click > Check now… In the Checking Disk window place a checkmark next to > Automatically fix file system errors and > Scan for an attempt recovery of bad sectors. Windows will also check for bad sectors, when you perform a full format or chkdsk command. See this article – The Difference Between Windows Full Format & Quick Format [Technology Explained]. I Think My Hard Drive Is Failing, What Shall I Do? So you are worried that a hard drive failure is just around the corner? The truth is, even if you are not worried, it is! The only thing you can do is always keep backups of your data on a second hard drive. The likelihood that both drives will fail simultaneously are very rare. An exception would be natural disasters like floods or fires. For these cases, I recommend to keep a copy of your most important data in a different physical location, for example at work or with a friend, or possibly on a remote server, for example by using an online backup solution. For more information how to back up data, read my PDF manual Stuff Happens: The Backup & Restore Guide. Do not rely on signs or software to tell you whether you have a failing hard drive. It is more likely than not that it will fail unexpectedly and without any warning signs whatsoever. Rather than trying to forecast something that is even less predictable than the weather, you should rely on backups. What is your worst hardware failure nightmare, did it ever happen to you, and did you actually lose any data?